Utah, a state rich in epic landscapes and national parks, is becoming ground zero for a fight between the $646bn outdoor industry and state lawmakers over public land management. At a trade show for outdoor clothing and gear makers in Salt Lake City this week, two prominent figures from the industry called on their peers to move the semi-annual event out of the state unless Utah leaders stop supporting efforts by Republicans in Congress to transfer or sell federal land to states. Utah governor Gary Herbert was also called out for challenging a federal law that allowed President Obama to create the new, 1.4m-acre Bears Ears National Monument in southeast Utah last month. 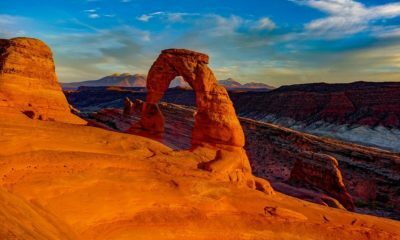 “Utah’s political leadership has unleashed an all-out assault against Utah’s protected public lands and Utah’s newest monument,” wrote Peter Metcalf, a long time Utah resident who founded climbing and ski gear maker Black Diamond, in an opinion piece published in the Salt Lake Tribune on Tuesday to coincide with the start of the trade show. He noted that the trade show brings more than $40m to the city in direct spending each year, while the Outdoor Industry Association (OIA) estimates the figure can reach $80m annually.